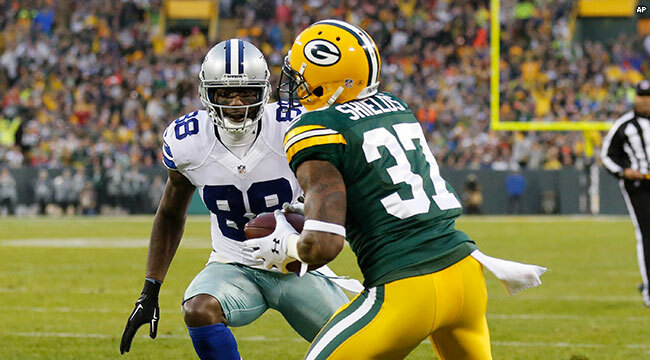 GREEN BAY — The Packers will be without starting cornerback Sam Shields for Sunday’s game at the Oakland Raiders. Shields sustained a concussion in last Sunday’s win over the Dallas Cowboys. “Sam will not make the flight and he’ll be out for Sunday’s contest,” Coach Mike McCarthy said on Friday. Rookie cornerbacks Damarious Randall and Quinten Rollins will pick up the slack caused by Shields’ injury. “The young defensive backs have done a good job, they’ve had a whole week to prepare and we’ll be ready to go,” McCarthy said. Center Corey Linsley is recovered from his ankle injury and McCarthy has a decision to make between returning Linsley to his starting role, or keeping replacement JC Tretter in the starting lineup. “Those are good decisions,” McCarthy said. Rookie wide receiver Ty Montgomery is not ready to play. “I guess you would classify it as a setback,” McCarthy said of Montgomery’s ankle injury.